The Tirpitz Museum, also known as Blåvand Bunker Museum, a unique museum on the west coast of Jutland, recently reopened for visitors. The museum, built in an old WWII bunker, has been completely redesigned. 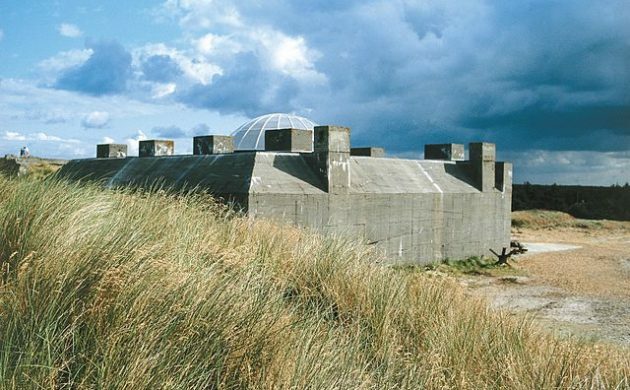 Construction on the Tirpitz bunker started in 1944, as part of the Nazi defense around the city of Esbjerg. The work stopped following Germany’s surrender and the bunker was never completed. The structure stood abandoned for a while and was later turned into a small museum. In 2012, it was decided to expand and completely redesign the museum, with Bjarke Ingels Group being chosen as designer for the new museum. Ingels created exhibition in one of the Ground Zero skyscrapers in New York and Google’s new headquarters. The reopened museum features open spaces and is built into the dunes. The Museum features four exhibition areas, 3 of which are permanent exhibitions. Furthermore, it is possible to enter the old bunk and gun turret with a glass reconstruction of the artillery guns. A Wall of Concrete is an exhibition about the Atlantic Wall with personal stories from the surrounding areas. Gold of the Sea features the largest collection of amber in Denmark. The first non-permanent exhibition, is centered around the clearing of landmines and features props and sets from the movie Land of Mine (Under Sandet).